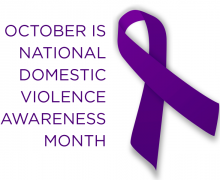 Every year throughout the nation, October is officially recognized as Domestic Violence Awareness Month. Counties and cities all over the United States take the opportunity to honor this month through an official proclamation. Cities throughout Anoka County are recognizing both the gravity of the problem and the importance of the ongoing work to create a violence-free community. Each cities’ proclamation will add to the chorus of voices insisting that women, men, and children all have a right to seek peace and safety in their lives. Click the links below to see your cities proclamations. More are being added every week.